Bassist Adi Meyerson grew up in Israel, discovered jazz in her late teens, got into a conservatory for upright bass a few months after picking up the instrument, and then made her way to the New School in New York. 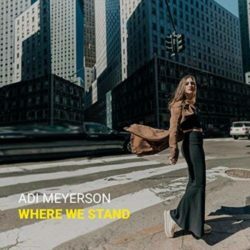 Six years after moving to the US, she’s released her debut album, Where We Stand, and is a busy player in the New York scene. Learn more at http://adimeyersonmusic.com.